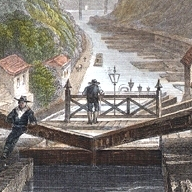 The Erie Canal app has been updated to version 1.1 in BlackBerry World and Google Play. The new version is smaller, with a 25.5% reduction in file size for BlackBerry 10 users, and a 22.4% reduction for Android users. Additionally this version of the app also automatically refreshes its data once every month. 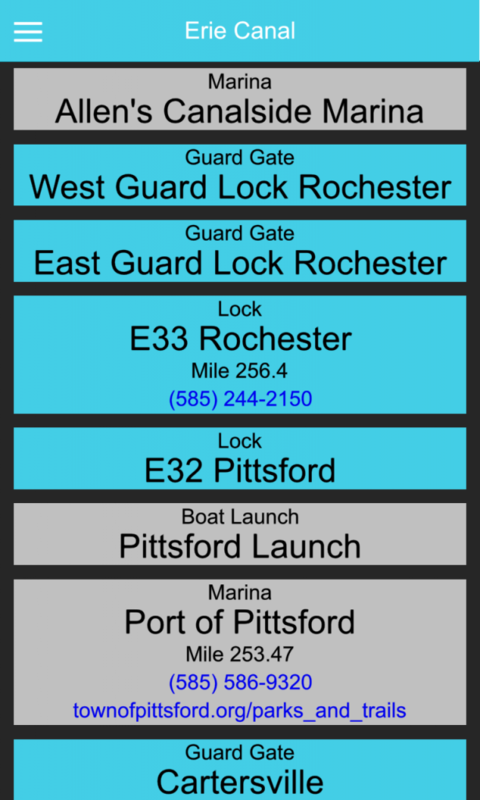 The app is designed to help out those traveling along the Erie Canal by showing the Boat Launches, Locks, Lift Bridges, and Guard Gates along the canal’s path. The primary view of the app shows a list of all the landmarks along the canal, with their distance along the canal along with a phone number that the app can dial in order to contact the marinas, and locks on the route. In addition to this, there is also a map view that precisely shows the location of everything along the canal’s path. An options page allows you to filter out the types of landmarks that the app shows (on both the list and the map), as well as allowing you to switch the list to an east to west orientation.